Shatavari root is a superb tonic for the female reproductive system as it tones and cleanses the uterus. It is renowned as the foremost herb for the gynecological balancing of the female menstrual cycle. It cools the symptoms of inflammation during menstruation & menopause, increases fertility and reduces emotional irritability. Shatavari is a gynaecological tonic which brings balance to the female menstrual cycle. It effectively treats both dysmenorrhoea and menorrhagia and brings regularity to feminine rhythms in a completely natural way. It’s tonic effects also target the nerves and reduce symptoms of emotional irritability, abdominal cramping and headaches. Shatavari benefits all stages of life and can support the transitions from puberty to adulthood to motherhood and into the post-menopausal age. At youth it promotes healthy menstruation, in adulthood it increases fertility and prevents miscarriage, in motherhood it supports lactation, and cools hot flashes and inflammation during menopause. Shatavari powder has the unique ability to increase female fertility by cooling the uterus and vaginal inflammation making it ideal for women who choose to give birth later in life. Shatavari benefits male and female sexual dysfunction and reproductive problems by increasing sperm count in men and sexual arousal in women . 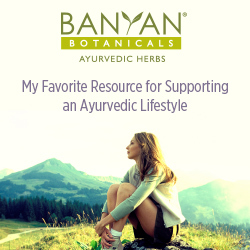 Click here to return to our ayurvedic home remedies homepage.